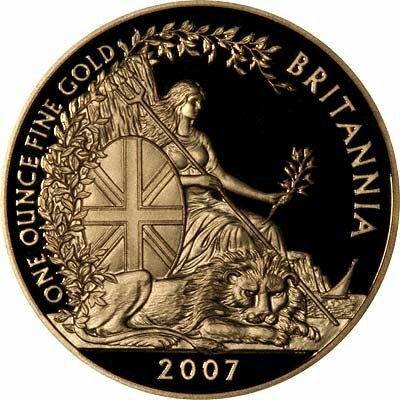 Gold Britannia bullion coins were introduced in 1987 in four different sizes, one ounce, half ounce, quarter ounce and tenth ounce. Full information about Britannias can be found on our Britannias Information page. The original concept of gold bullion coins, and Krugerrands were first in 1967, was to make it easy for individuals to buy gold in convenient quantities at low premium over gold. In the early days, there can have been few collectors who collected different dates of bullion gold coins. As time has passed, more dates are available, more sizes are available, more countries produce gold bullion coins, and some of the countries are competing by minting bullion coins with higher production quality, and also by changing the designs every year. In the last few years we have seen an increase in the number of collectors looking to make a complete date collection of various bullion coin issues. In general it can be quite difficult to complete date collections of bullion coins, this is because demand for bullion coins fluctuates considerably from year to year, and because the mints don't make much profit on them, they don't put much effort into producing or marketing different dates. It can be very difficult even to discover whether any were issued in any particular year. The excellent Krause World Coins and World Gold Coin catalogues are not completely clear on their listing of many of the bullion coin dates. We have unsuccessfully asked the South African mint for information about Krugers on numerous occasions, and also the Royal Mint about Britannias, to no avail as yet. When we do get any information about mintage figures, we will publish them on this site. Meanwhile we believe that some rare dates will emerge amongst gold bullion coins. 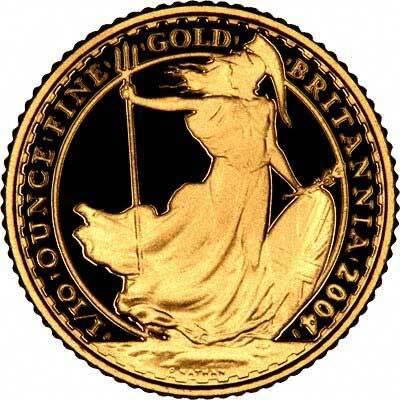 Tenth ounce Britannias have a face value of £10, and contain a tenth ounce of gold. 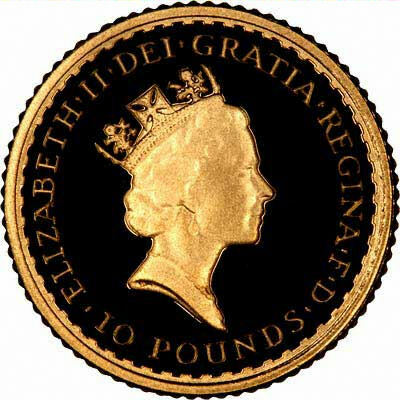 Fractional sizes such as one tenth ounce are produced in smaller quantities than the one ounce gold bullion coins. Because of this, they will generally have the lowest mintage figures, making them ultimately the rarest. This will also provide the greatest challenge to any collector wishing to acquire a complete date set. Proof versions have been issued in every year, usually only in complete sets, but sometimes individually also. While it makes it possible and easier to complete a collection using proof coins, many "purist" collectors will understandably want only the normal uncirculated version. In the future we think that a number of rare dates will emerge, and some could command relatively high prices. If you fancy a challenge, just try getting one of every date of non-proof Britannias, either just the tenth ounce versions, or all four weights. It will be much harder than you think! 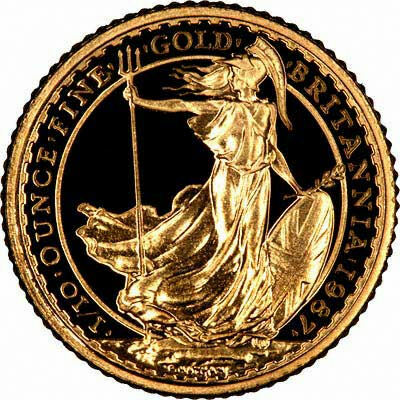 Many gold Britannias of all four sizes were only issued in small quantities, counted in thousands rather than millions. This must make them genuinely rare coins. We have noticed that there are only a small number of collectors of bullion coins, so that they are often available quite cheaply. 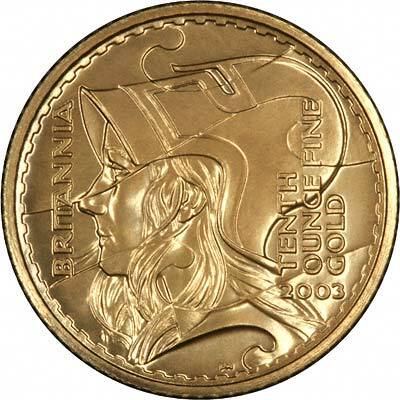 As the number of bullion coin collectors increases, we believe that in years to come, many of these coins will be very difficult to find, and may command prices considerable above bullion.